Forestry mulching is a land clearing job that cuts, grinds, and clear vegetation by machines. The machined used in forestry mulching is usually named as “forestry mulcher”. It works uses a rotary drum equipped with replacement wear teeth to shred vegetation. Heavy duty forestry mulchers can clear up to fifteen acres of vegetation a day. They could be in many applications, such as land clearing, right-of-way, pipeline/power line, and wildfire prevention and management, vegetation management, invasive species control, and wildlife restoration. Due to the large demands of forestry mulching, different brands of forestry mulchers are produced by manufacturers. During the working process, some components, especially mulcher teeth that touch the ground, are always worn. Therefore, replacement teeth are always used for its severe working environment. 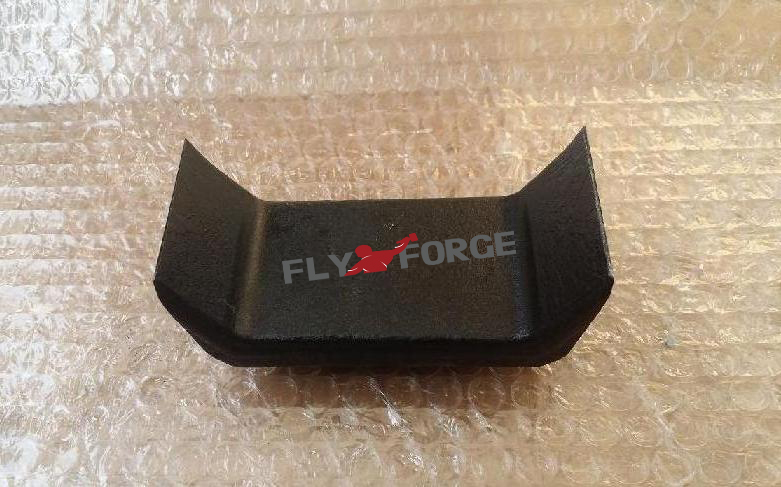 Fly Forge is the China forging company that takes the role of customizing forestry mulcher repalcement teeth for our customers all over the world. Below is the case that shows our custom service for forestry mulcher replacement teeth for our customer. Confirmed with our customer that the mulcher teeth must be high wear resistance, so that it can withstand high impact during the working process. Recommended material used is 42CrMo, which is commonly selected to product forged wear resistance for its good properties and cost saving feature. For such small product, there is no doubt that produce it by closed die forging method. Normally, we can control the dimensions with close tolerance. Although forging can improve the strength and density of forestry mulcher replacement teeth, it can only reach a normal hardness around 20HRC. Obviously, such hardness is not enough for working. To improve the hardness, heat treatment should be taken. Normally, according to our rich experience, we suggest tempering and quenching treatment to improve the hardness. But considering the cuspidal, it may get deformed easily after tempering and quenching. So our engineer suggest carburizing treatment for hardness 48-52HRC to avoid such deformation, and the surface looks black. Bear in mind that too high hardness will make the replacement teeth fragile, so we should control the hardness in proper range. Of course, due to the limitation of closed die forging technique, some dimensions could only be reached by machining. As the mulcher replacement teeth will be fitted into another part for application. It has to be CNC machined. Our machining capability is able to offer such machining requirement. 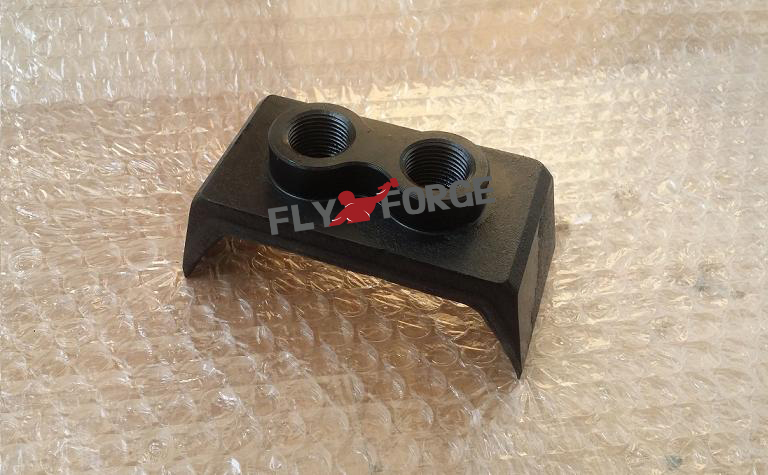 Normally it will be difficult to do machining once the hardness over 30HRC, so, for forgestry mulcher teeth, machining is first operated before heat treatment. Above is the case we are sharing, if you have similar demands on forestry mulcher replacement teeth or other forged components, pls contact us! I believe you will be satisfied with our custom forging service.